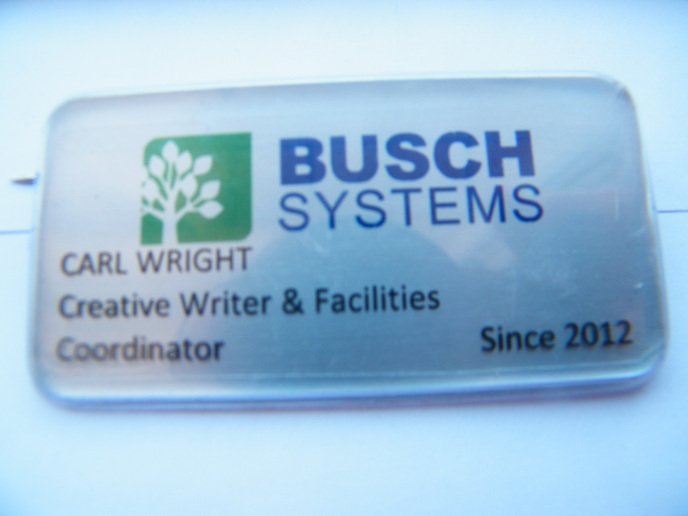 It is a privilege and honour to be promoted as a creative writer at my work at Busch Systems. The company has a focus on sustainability and the environment. These are 2 things I am very passionate about. This page will be ongoing starting with my 1st article November 29, 2017. The links for my articles will be added some time after they are published on the company website. Article #1: What it Takes to be Sustainable in Coffee Cups. Originally Published November 27, 2017. After over 40 years of physical work for a living, it was so strange to go into work and head to a desk and computer. And boy was I nervous. The 1st topic I was given was about all those throwaway coffee cups. What happens when we throw them out? Although I don’t any access to any of the blog traffic information on the web site dashboard, to my understanding, this has been one of the most read and shared articles to date. And for my 1st post, this makes me very happy. It is only been these past few years that there has been an importance placed on our wetlands. For decades they were regarded as wasteland and were drained and filled in. Since 1900, half of the world’s wetlands have disappeared. They are some of most beautiful and tranquil places on earth, and offer so many tremendous benefits. A touching compliment came from Mandy, who ran the final edit of this post when she said, “Thank you Carl, I just want to go out now, and hug a wetland”. I take water so much for granted here in Canada. I turn on the tap and there it is…clean and refreshing. Not so in many areas around the world. There are 844 million people in the world who lack a basic drinking water service. One of the areas I focused on in this article is the country of Ghana, Africa. Busch Systems has made a huge impact with the charity Dekpor School Development Organisation in Ghana. Their director Carol mentioned to me that women and children used to fetch contaminated water for up to 8 hours a day, balancing 20 kilograms on their head which caused head and neck problems. But no more. It is so exciting to be a part of making a difference through my work. Pictures within the post of the contaminated water and the clean pure water were provided by charity director Carol Sheardown. I have been asked from time to time what article am I most proud of. I am not sure which one, but if there is one which resonates most with me, it would be this one. In my lifetime I have been exposed to way more chemicals than I am comfortable with. Over the course of our lifetimes, each one of us has within ourselves a chemical body burden which is a bio-accumulation of our chemical exposures. In these last few years I have made lifestyle changes to hopefully ease that load. In my area of Canada I have noticed that the size of homes being built are now much larger than those built when I was a kid. And at the same time, the number of people living in those homes are becoming less. And sadly, in many municipalities the building of larger homes is the mandate due to minimum building size requirements. In this article we will explore the cost to the environment of these larger homes. Not only in raw materials used to build them, but in ongoing maintenance and heating and cooling. I am so appreciative of the opportunities I have had to experience some of the most spectacular places of natural wonder on our planet earth. A hike that stands out above all the others was in the pristine mountain rainforest of Kamakao Preserve on the island of Molokai, Hawaii. Within this preserve were 219 plants found nowhere outside of the Hawaiian Islands, and a few varieties were endemic to this preserve only. In this article we discuss the value and great importance of plants. Sadly many plants are becoming extinct before they are identified and documented. I was in Grade 6, and the tender age of 11 when the first Earth Day took place in 1970. Through the modern technology of the day our family was able to witness this first mass environmental movement on our black and white television using rabbit ears for reception. Earth Day has a fascinating history that revolves around the hippie movement. Their values of peace, harmony and the Mother Earth were opposite that of mainstream America, so they did not have a lot of credibility. It was through teach-ins on university and college campuses that their voices eventually were heard. It is hard to believe that in just over a century we have gone from the horse and buggy days to where is quite normal to jump on a plane and travel to the other side of the planet all on the same day. In this article I introduce Jean Beliveau. He is one of the most inspirational humans I have ever met. Jean spent a night in our home on the final leg of a 11 year, 75,000 kilometer walk across our planet. The carbon footprint from his travels was as low as you could get. In this article we will learn how much of a carbon footprint does each form of transportation have. I grew up on a farm before the word “organic” was barely used as a term, yet my dad practiced every bit of the word organic. Going organic is a major decision, and the higher cost is well justified when our own health and health for the planet is factored in. There are exceptionally high standards to be met to be certified as an organic farmer. This article shares what to look for to ensure what you are buying is indeed certified organic. I turned 60 years old this past year, and as a writer in the marketing department I am older than everyone else by decades. The vast majority of my marketing peeps are millennials, and I love it. I love their energy and their drive. And through the proliferation of social media , I love how now companies now have a transparency nowadays that I have never seen before. Corporate Social Responsibility is a term I only heard about a couple years ago. This article talks all about it. As a child I never got to eat fast food very often, but a handful of times a year my dad would take our family to the A & W drive in restaurant. A lot of nostalgia as the servers would deliver your food to your car and the tray of food would hang on the outside of the window. There was one standard serving size for the hamburger, French fries and soda. It was more than sufficient. Nowadays with supersizing, you can buy a soda that is almost 6 times the size of the standard soft drinks of the early 1960’s. Food psychology, which entices us to buy bigger is very powerful. You would think in a first world country such as Canada there would be no deaths from drinking water from a community water system, but that is not always the case. Taking lessons from the town of Walkerton, Ontario tragedy in the year 2,000 in which 7 people died and 2,300 people became sick, we look at the stricter water laws that came out of the Walkerton Inquiry. In many cases contaminated water is tasteless and odourless. if you have a private well it is imperative to have it checked on a regular basis. It gives me so much joy to spend time in the local hardwood forests just outside my community. After a long Canadian winter, springtime is extremely enthralling for my soul. Within the forest there is so much more happening than leaves bursting out of their tight winter buds. When you go “beneath the surface” you will discover that the complexity of this hardwood forest eco-system and its biological diversity is mind-blowing. I encourage you to get outdoors and experience it first hand for yourself. From when I was 19 until I was 40, I spent over 20 years in the water well drilling industry. During the months of April through to late November I was involved in the drilling process of an average of two or so water wells a week. Over the course of my well drilling career, that is a lot of wells. One of the reasons we would be contacted to drill a new well, is that the old well went dry. It is a fact that in many regions of the world the water tables are dropping sharply by pumping out more water than is being naturally replenished. The water we are depleting should be the birthright of future generations. From my mountain climbing days, backpacking days and now that I have transitioned into ultrarunning, I must say how privileged it has been to visit some very spectacular places on our planet. Climbing routes and hiking and running trails all have the markings of human influence. There are very few places on earth that have not been impacted by humans and described as pristine. On World Environment Day, we look at human influence where garbage has been found on both the top of Mt. Everest and in the bottom of Mariana Trench, the deepest trough on our planet. Another part of my twenty plus years in well drilling was involvement in environmental drilling from time to time. From landfills, to train wrecks to abandoned industrial yards the drilling was to check for contamination, and how far it had migrated. In my own village, gasoline storage tanks had rusted causing widespread contamination. One liter of spilled gasoline can contaminate one million liters of groundwater. Making lifestyle changes of fewer chemicals will not change the world. But it will change your world. When it comes to electricity sourced from renewable resources, North America lags far behind countries such as Denmark. This country generates 140% of it’s electricity from renewable resources, and any excess is exported. Harnessing power from the wind is a natural and virtually inexhaustible source of power to produce electricity. Having being raised on a farm where I knew exactly where the sources of most foods I consumed, it can be disheartening to walk in to a supermarket and not have a clue the background or the sources of the food I am about to purchase. Is the food laden with chemicals? 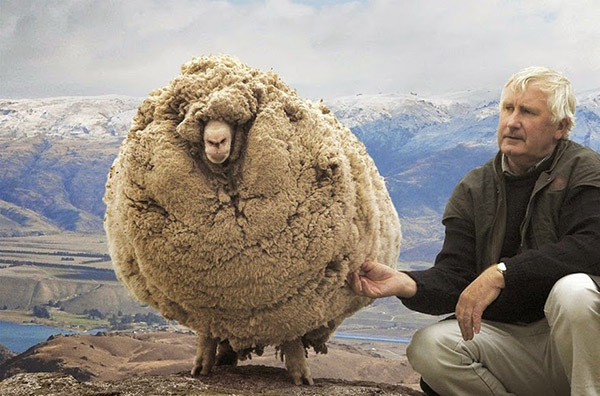 Has it been genetically modified. Your best bet is to grow your own food, so you take back more control over the food you eat. But even then you cannot be certain. Finding seed companies that have taken the “Safe Seed Pledge” ensures that these companies promise that their seeds are tested and free of GMO’s. As a chocolate lover there could not have been a more fitting date chosen for World Chocolate day than July 7th. It falls right on my birthday. Chocolate comes from the cacao tree, a tree that only grows well in the tropics near the equator. Sadly the cacao industry has a dark side, with children being exploited and trafficked as slaves particularly in West Africa. Purchasing Organic, Rainforest Alliance Certified and Fair Trade Certified chocolate ensures that your purchase does not involve the exploitation of children. Two hundred years ago the cycle of life was much more compressed for the average person. Your working life might have started around 10, by 15 you were a parent, by 30 you were a grandparent and by 40 your body was broken, pain-filled and in final decline. With improved health care, sanitation, immunizations, access to clean running water, and better nutrition we are living much longer. At the same time the world’s population is growing exponentially. By living simpler lifestyles we can make a difference so future generations will have the resources to live, long, fulfilled lives. For those of us who grew up in the 1970’s and 1980’s, you might recall how serious the issue of the thinning ozone layer was, and the consequences if drastic measures were not taken. This led to the banning of CFC’s or chlorofluorocarbons. These chemicals will stay in the atmosphere for 50-100 years, but things are now beginning to improve. This has become a beacon of hope as the world tries to address the much more complicated, slow-moving problem of climate change. Once again it will require every one to be involved. The word “Superfood” was never spoken or in print when I was going through school several decades ago. But these past few years it has become mainstream as an elixir for longevity. But is there any scientific evidence, or is it more of a marketing tool to sell products? There are not too many people who have not been impacted by food allergies nowadays. Whether it is a friend, co-worker, a family member or even yourself, most of us know someone who is affected by a severe food allergy. In my own situation it is my dear wife. This has led me to conduct a lot of research to determine what might be the causes. Although I do not have any concrete answers, this article gives some possibilities. Just over 100 years ago migratory birds were indiscriminately slaughtered to meet the insatiable consumer demands of the fashion industry. The feathers of the birds and sometimes even small stuffed birds were used to adorn women’s hats. Many conservation organizations tried to put an end to this abominable trend and led to the formation of the Migratory Bird Treaty Act (MBTA). The year 2018 marks 100 years since the signing of this important act and is celebrated as Year of the Bird. Consumer trends have changed so much over my lifetime. When I was a young child consumer credit cards were not around. So for people like my mom and dad, if they did not have the money, they did not purchase it. And when credit cards did become available, they were extremely difficult to get one. Credit cards are much easier to obtain, and with easy credit we are buying more “stuff” than ever before. This all puts an enormous strain on our environment!